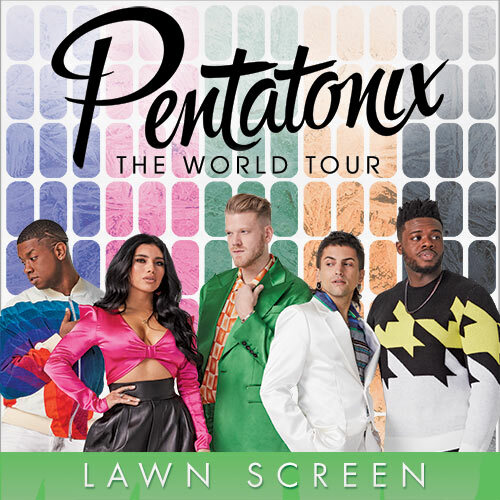 The multiplatinum-selling quintet Pentatonix boasts not only three Grammy Awards and nearly 10 million albums sold, but also 15.5 million subscribers on its YouTube channel, which has over 3.4 billion views. Moreover, nine of the group’s albums have made Billboard’s top 10, including back-to-back number ones in 2015’s Pentatonix and 2016’s A Pentatonix Christmas, and its original track “Can’t Sleep Love” is a gold-certified single, joining their renditions of “Mary, Did You Know?” and “Hallelujah” as a top seller. Pentatonix also appeared in the feature film Pitch Perfect 2 and has had two holiday specials on NBC. In the past year, the quintet released the first volume of its PTX Presents series of Pentatonix-curated modern pop performances and also released its fourth holiday album, Christmas Is Here!